In this tutorial, you’re going to learn how to deploy a Prisma server to Dokku. Dokku is an extendible, open source Platform as a Service that runs on a single server of your choice. You need to install an up-to-date version of Dokku on your system of choice. You can find installation instructions on http://dokku.viewdocs.io/dokku/getting-started/installation/#installing-the-latest-stable-version. Dokku by default does not provide any datastores such as MySQL or PostgreSQL. You will need to install plugins to handle that, but fortunately Dokku has official plugins for common datastores. The important part of that output is the Dsn. We'll need it later for setting up the prisma server! Once the service creation is complete, link the service to your prisma-server application. Create a new folder on your local machine and add these two files with the following content to it. 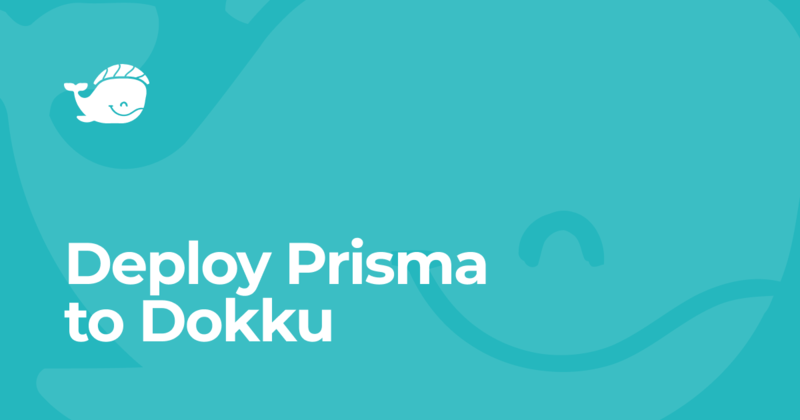 Now you can deploy the Prisma server to your Dokku server. All you have to do is initialize a git project and add a remote to the app. The GraphQL Playground should be accessible at http://YOUR_DOKKU_HOST:4466 after dokku deployed your app!